Have you ever made paper flowers? These would be perfect for the upcoming Spring weather and they are simply delightful projects for even the smallest of hands! These are so easy and simple! Everyone including the little ones can have fun with this one. There are so many things that can be used for paper flowers including tissue paper, newspaper, and even cupcake liners. Who knew right?! These are so much fun and kids can really make them their own. Use them to decorate for Easter or make a bunch to give for Mother’s Day because it will be here before you know it. Plus these are gifts that truly last a lifetime so don’t spend a bunch on flowers when you can use these ideas to make the most beautiful bouquets. These also make perfect teacher appreciation gift ideas! 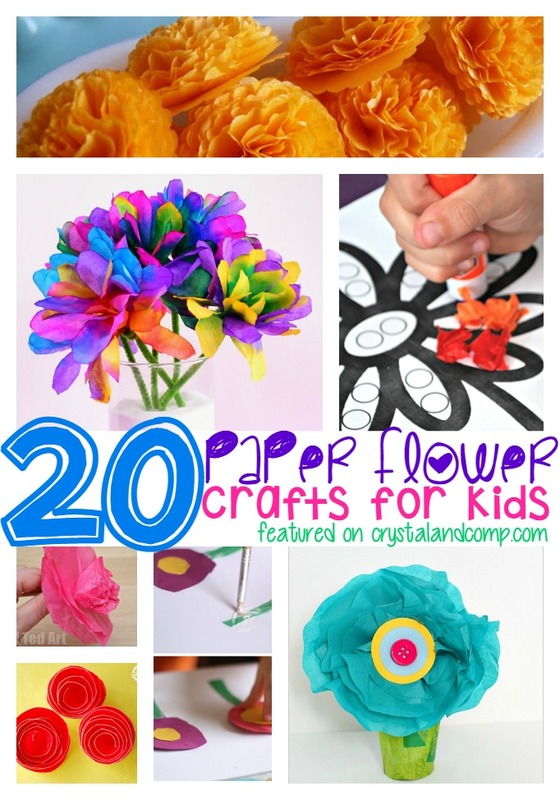 Check out these 20 paper flower crafts just in time for beautiful weather! 4. Handmade Flowers using Coffee Filters and Markers– Crystal & Co. Check out our paper flower segment on Good Morning Texas. We teach you how to use these flowers to decorate and create some amazing things. The ideas for paper flowers are endless! Which ones are your favorite? So, I am in love with tissue paper flowers. This is a great selection of projects! Thanks for gathering them together. sharing. Sheila, until recently I had never handmade a flower from tissue paper. Seriously, so much fun!!!! Thanks for including my torn paper flowers! Of course Cassie! I adore your creations! Thank you for compiling this great and fun list of flower crafts! 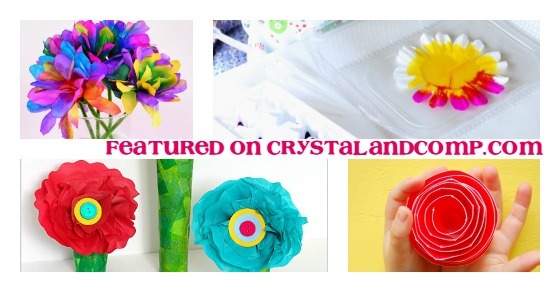 I think my nieces would LOVE to do a flower craft with me! Thank you for the wonderful idea! Natalie A recently posted..13 Benefits Of Going To A Support Group!